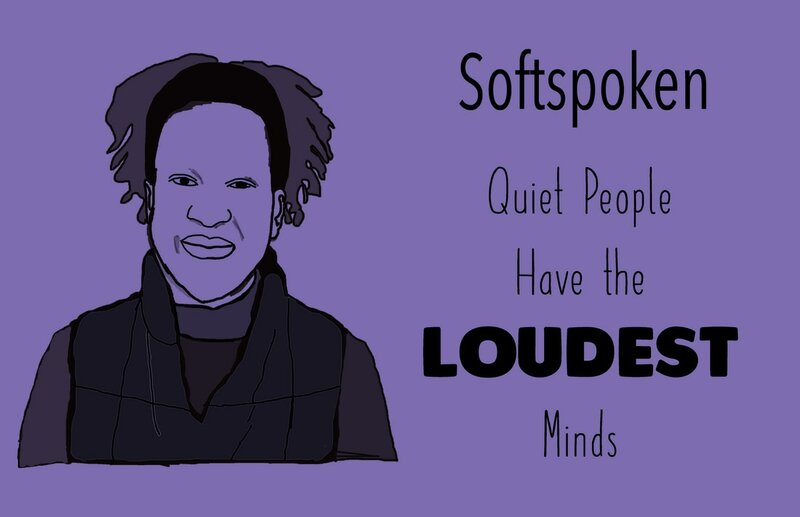 My word was "soft spoken" which just thought described me. I am quiet, but not in the way most people think. I think about what I say before I say it, and most of my most unnecessary thoughts are filtered out before I even say them. I tried to take a simple picture that wasn't over the top because that would defeat the purpose of the adjective that I chose. I looked up quiet quotes and scrolled through the images, because it was easier to be exposed to more quotes that way. I chose one that I thought could also represent the creative side of me. I chose the font "Paper Daisies" because it seemed simple and soft basically. I also chose a much bolder font that would be used for the word "Loudest" so that it would stand out. I took a simple photo, and traced it with shading in different opacities. Lastly, I changed the size so it would better fit the space. Thank you for the support! For this poster, I wanted to work with the idea of Trump's wall. I found a picture of the protests to represent all of the different causes. I then got a picture from CNN of a representation of Trump's wall. I traced over it with the brush tool, but the opacity and quality were low. I reopened the document, and redid it by copying and pasting every layer to the new, fixed background. 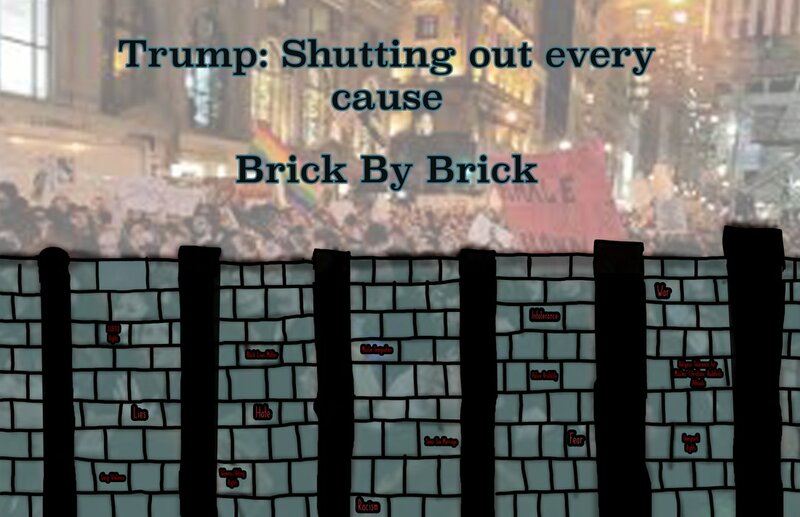 I added the text: Trump: Shutting out every cause. Brick by Brick. This is supposed to show that the causes protesting, are all shunned by Trump's notions of a wall and immigration bans. he is shutting out everyone's cry for change. 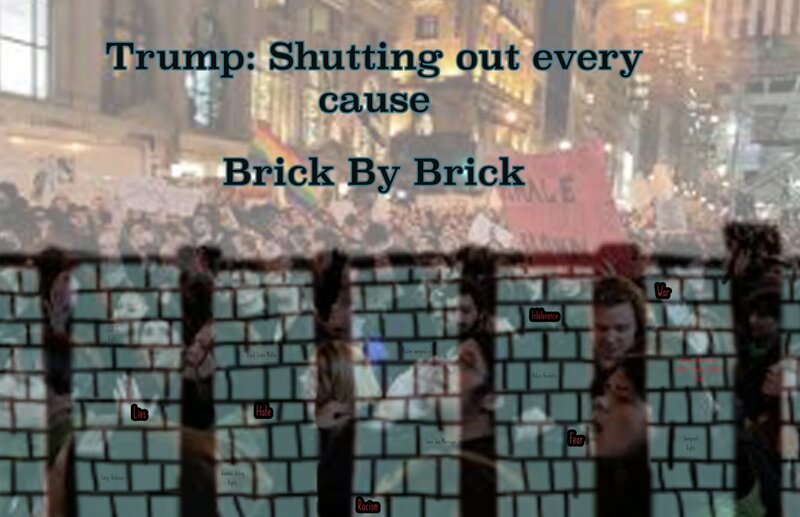 Moving forward, i would make the words on the wall pop out more because they are supposed to represent how Trump ignores the causes, and then uses them as a reason to build his wall. i might also make the wall bolder to show that the people are shut out. Here is the second version of the poster that I did. I made the wall a lot less see through. I thought it should be this way because it wasn't supposed to represent making it through the wall, it was supposed to represent being shut out. I think it might have been able ti stand without the text, but, it amplified my message. This is the finished copy that I ope to display. Enjoy! 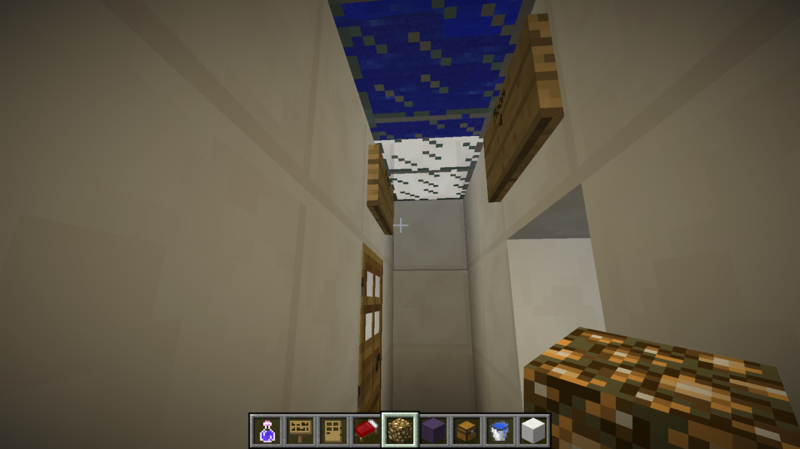 On this day, I used Minecraft to make an underwater tunnel leading to my hotel, and a main lobby on the inside. On this day, I decorated the lobby with two check-ins, and I made a restaurant called Limelight, the restaurant is also an aquarium. 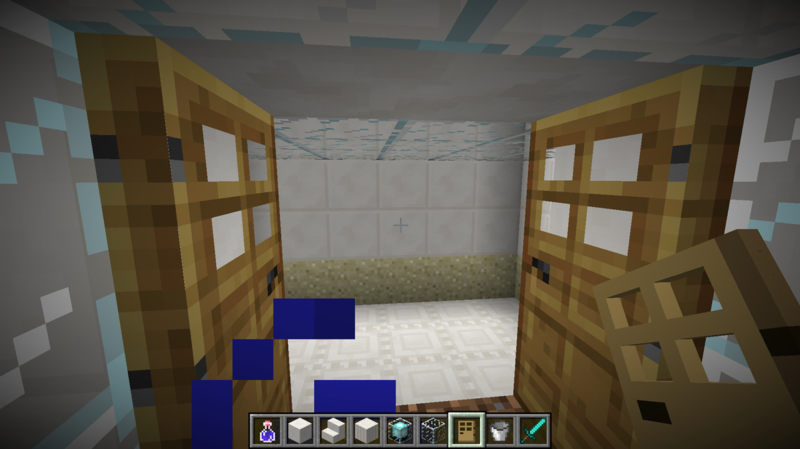 On this day, I made a sand room where you can look around in an aquarium, and I also made one big hotel room, it isn't decorated yet though. Om this day, I separated the one hotel room into two, and decorated them. 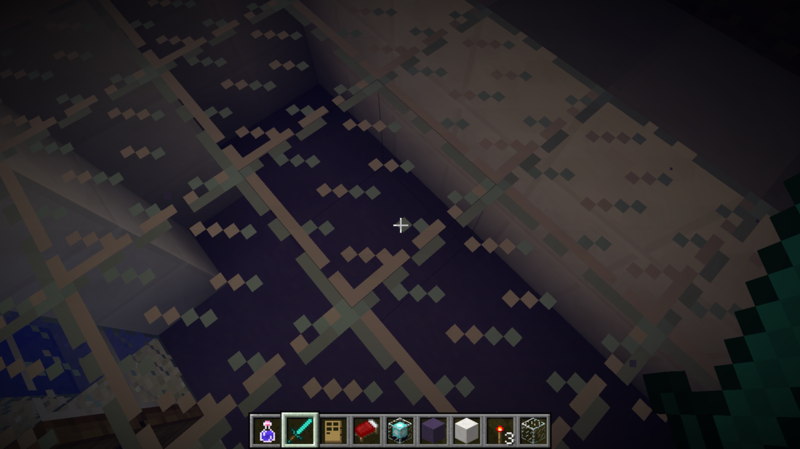 I also made the sand room bigger. 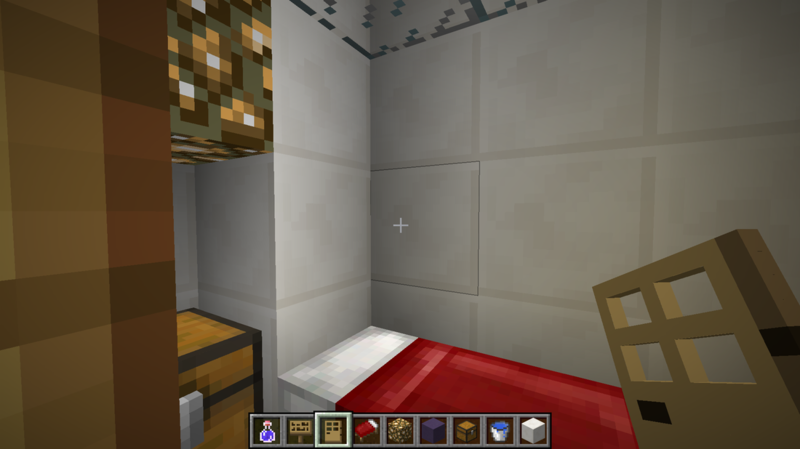 Today I made two more actual hotel rooms, and was able to decorate them with a chest and single bed. 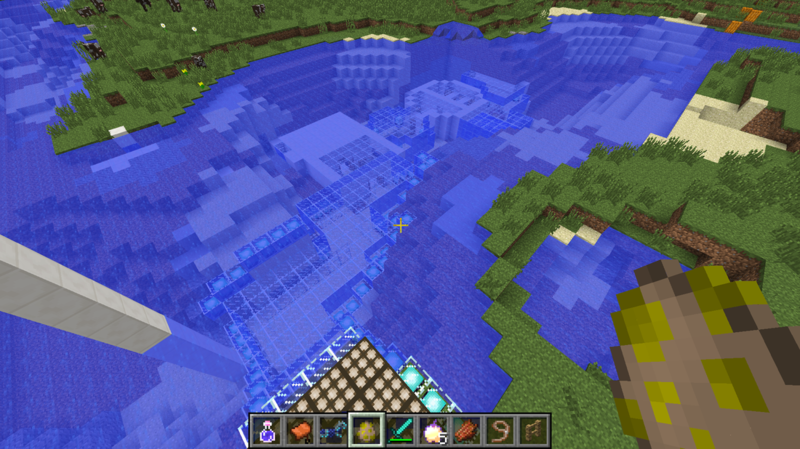 On this day we made a tunnel to the silverfish sanctuary, but silverfish are allergic to water. 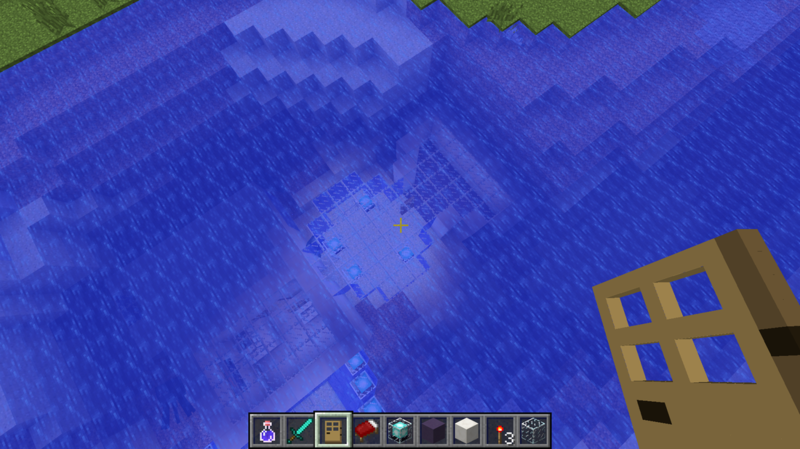 I'm going to make it an octopi sanctuary instead. 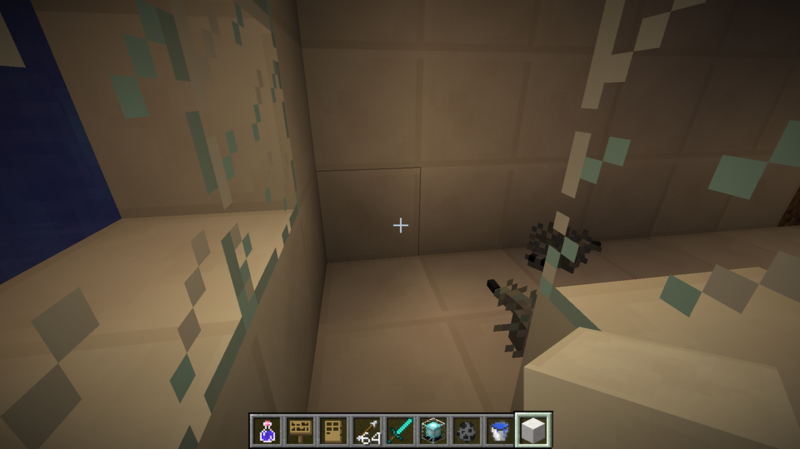 Also, the silverfish have taken over! That have burrowed into the tunnel and might get into the hotel rooms. Time tone an exterminator! I'm done! I added a selling booth in front of the octopi sanctuary. 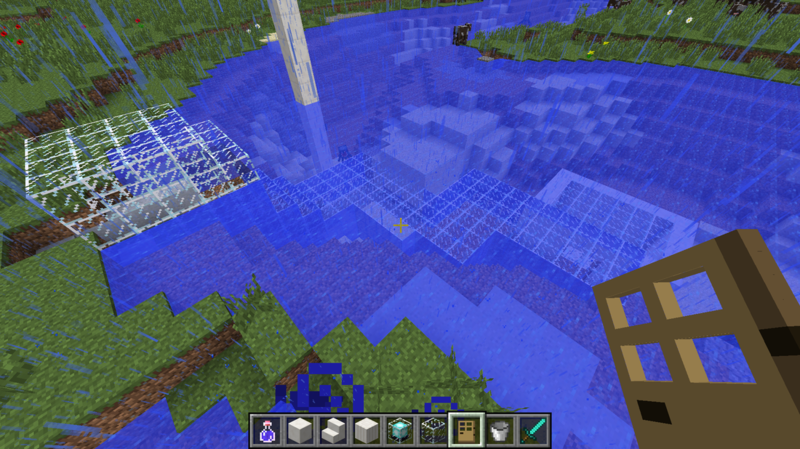 It sells splashes of underwater creating potion. This is so that people who want to be able to swim with the octopi can because they will be able to breath underwater, and won't drown. 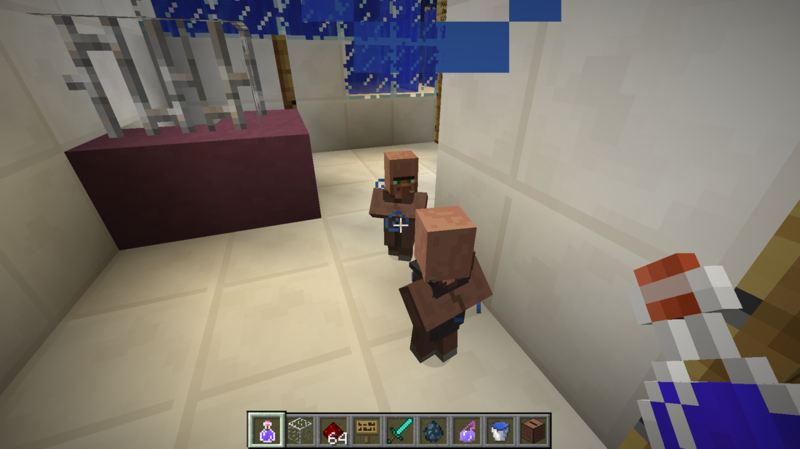 I also spawned villagers of course because we need someone to live in the hotels. The restaurant isn't very popular because we don't make food all the time. Other than that business is really good. 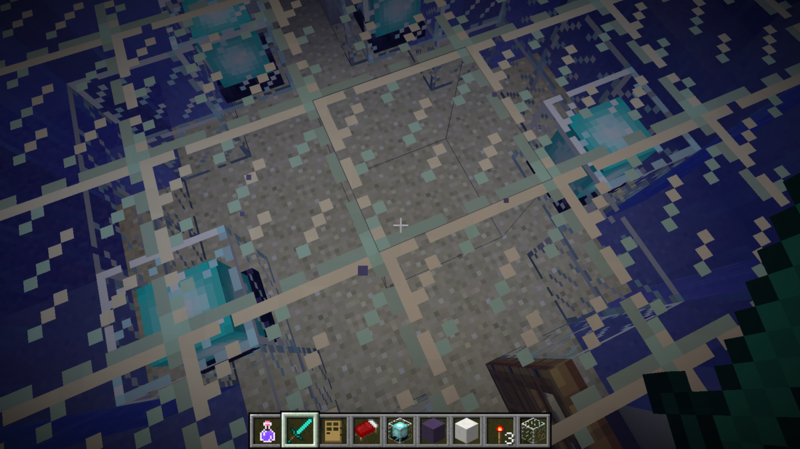 This is the octopi sanctuary from a secret air pocket on the inside. Here is my completed hotel! 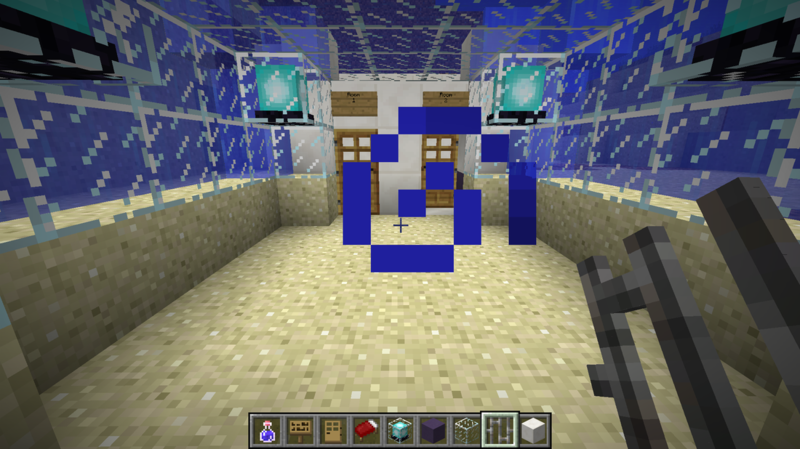 It has four rooms for the tenants, glass tunnels that allow the octopi to be viewed from a safe air pocket basically. 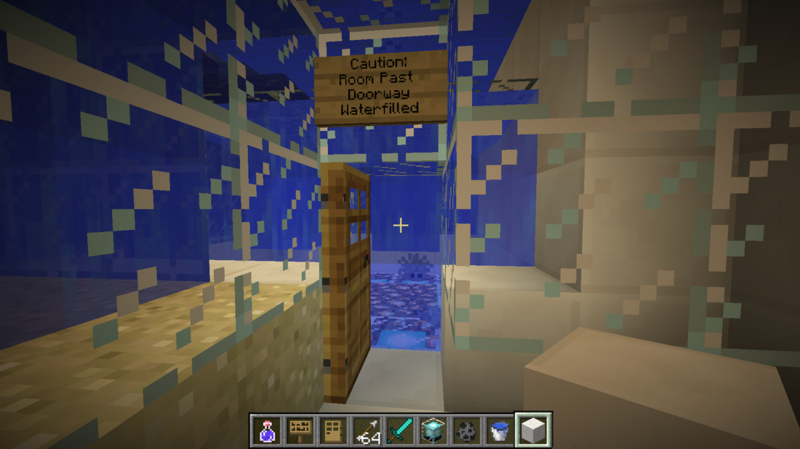 It also has a sand room for picnics, and a octopi sanctuary that allows you to swim with the octopi if you purchase the equipment. It took about two weeks, but overall it looks exactly how I imagined it. 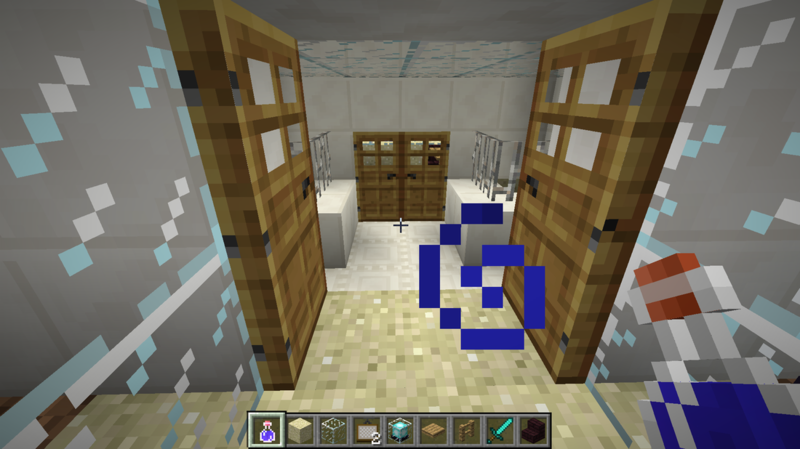 I could have made the rooms that everyone stays in bigger, but otherwise, it's almost perfect. 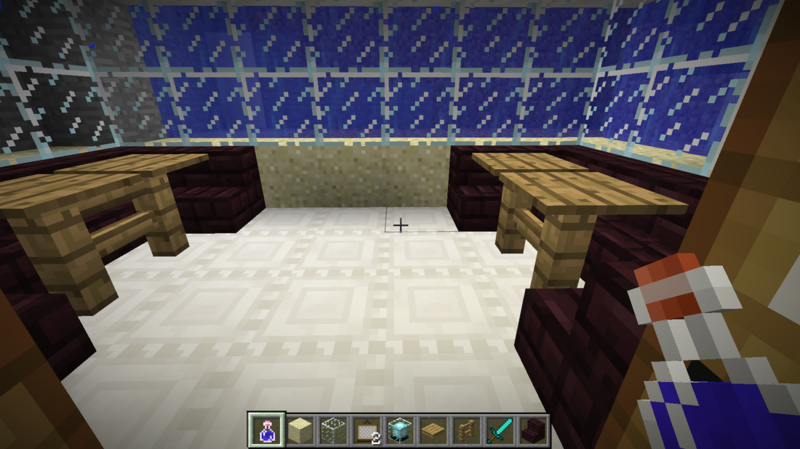 Some of the materials I used were white quartz because I wanted to give the hotel a modern look. I also used blue detained clay to make a contrast between the light and dark elements of the hotel. 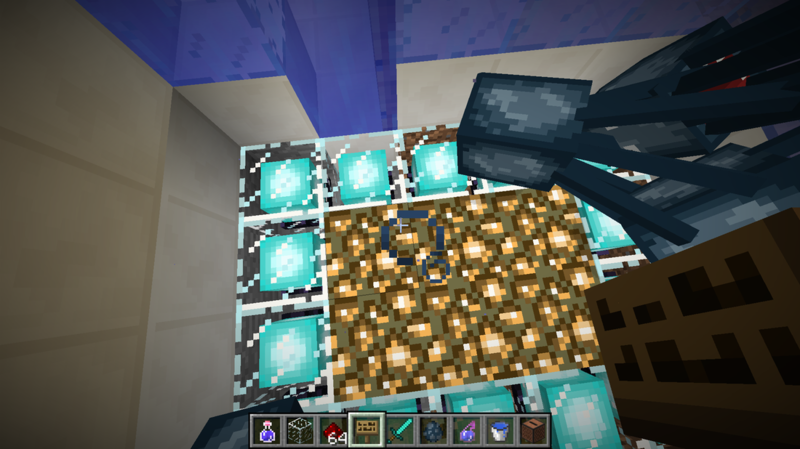 I also used lots of glass to make sure the octopi were very visible. I am most proud of my tunnels because they allow for the octopi that I spawned to be clearly viewed.